Don’t forget to join the Chamber on Thursday, October 11th at 6:30 p.m. for the Lifespan Physician Group Wellness Panel presented by Ross Budacki, MD, Sports Medicine Orthopedic Surgeon, Alberto Gavilanes, MD, Internal Medicine/Geriatrics, Halina Harding, DO, Family Medicine and Jon Lambrecht, MD, Cardiology. 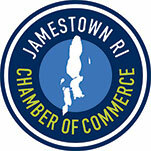 All members and guests are welcome and the event will be held at the Meeting Hall at the Jamestown Philomenian Library. Also, please save the date for Saturday, December 1st for our Annual Holiday Stroll and Saturday, December 15th for our Annual Holiday Party! Specific details will soon be announced!